Divorce and its devious issues. A man opened fire in a packed courthouse, killing his estranged wife and her brother before turning the gun on himself yesterday. What could have made him kill the woman he loved? 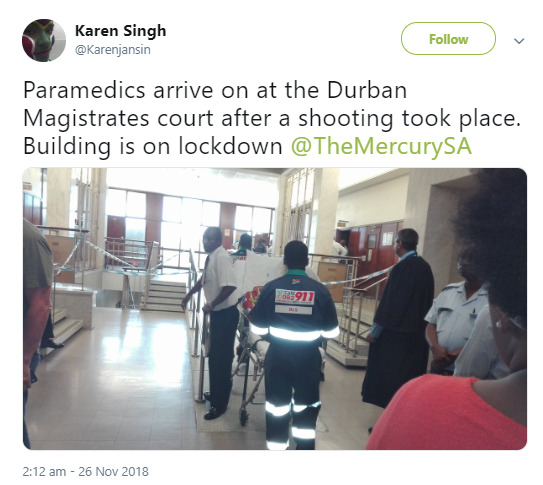 The victims were killed on the 8th floor of the building in Durban, South Africa. It is believed the wife and her brother died while the shooter is critically injured. According to South African media, the fatal shooting stemmed from a domestic legal case involving the estranged couple. 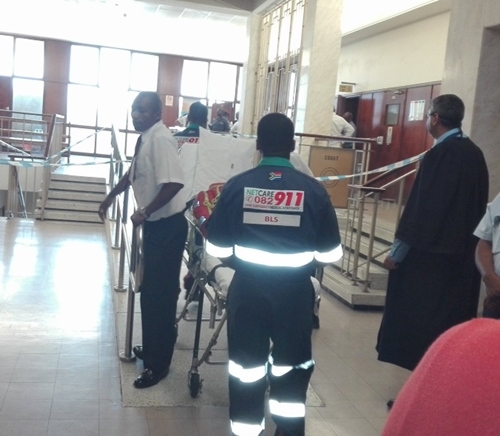 The gunman opened fire when the presiding magistrate was out on a tea break, local reports suggest. People really need to learn to seek help when overwhelmed. The building was placed on lock down as it was stormed by armed police.